When the team first saw today’s new pattern all those months ago, we knew it was something special. Simple, elegant, modern yet with that classic vintage twist… we were in love. Last week we released it to our PDF Club, and they confirmed our suspicions. Within the first day, it was already a bestseller. Today we’re SO excited to properly release it into the wild. It’s time to meet Penny! Penny features a sleeveless button-up bodice, flat collar, pretty gathered shoulder panel, easy-fit elasticated waist and on-trend midi-length skirt. The flattering dropped shoulder offers that nod to the 1950s, whilst the simplicity of the design will keep you looking contemporary and cool. 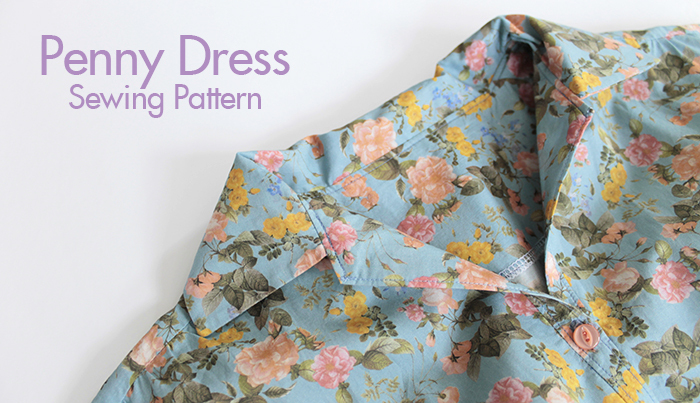 Though shirt dresses can often be fiddly and time-consuming to make, Penny makes for a refreshingly simple sew. With no darts, zips or collar stands to contend with it’s a simple project, perfect for sunny summer days. Incredibly versatile, Penny can be sewn in a huge range of woven fabrics. If you’re a beginner we recommend cotton lawn, seersucker or linen, whilst intermediate stitchers can have fun with drape, with rayon, viscose and lightweight crepe. 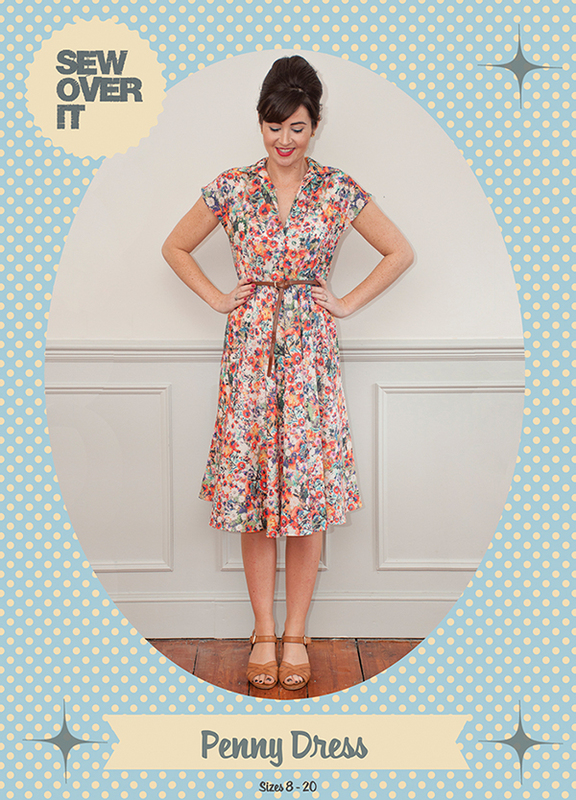 The Penny Dress is an advanced beginner to intermediate level sewing pattern and comes in UK sizes 8-20. If you love Penny as much as we do, hop over to our shop where you can find lots more info and snap up your pattern!